To celebrate my first novel "The Bridge" being #44 on Smashwords Horror Bestseller list of books over 100K words, I'm taking 50% off the price. It's now available there for $1.50 for this weekend. So take advantage of it while you can. There's 15 reviews on this page so you can get a good idea of what others have been saying about this strange blend of paranormal mystery and science fiction. Oh, and if you're one of those people who already bought a copy and loved it, please help spread the word of this special promotion. Thanks so much and have a great weekend everybody. BIG NEWS! 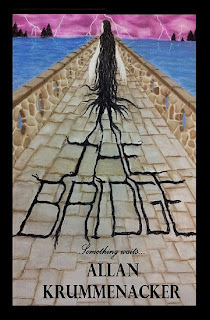 My novel "The Bridge" is #44 in Smashwords Bestselling Horror books (over 100K words). I admit that The Bridge was a bit of a surprise. 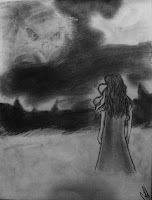 I usually don't go for fantasy or anything paranormal, but I will confess that I became intrigued when I read about it on the author's blog. Took me longer than I would have liked, but I finally bought it. The beginning for me was a little slow, but it quickly progressed and hooked me. What I found to be most enjoyable were the main characters themselves. They were not all one-dimensional. The author tried to make them complex, but didn't complicate the story. He showed us what we needed to know as it related to the story. Well, time for a little update. Here are the results so far from my "Hobbit Birthday Party" last weekend. Total 40 free books were picked up. And so far 4 reviews have come back, which is great in my book. The fact that people went through it so fast and got back to me is terrific. I'm hoping with time, that as people get to read it and finish the book, they'll leave reviews too. Out of the 4 reviews I've gotten 3 were 5 Stars and the last one was a 3 star, but a very pleasant one mind you. They still encouraged people to check it out so I'm not going to complain. I've wanted to read this book for some time. And as I expected it was quite different from the movie from 1962. 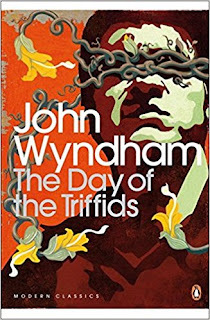 I was a little surprised to see that most of the story seemed to focus on a post-apocalyptic Earth situation, where the Triffids were just another danger. 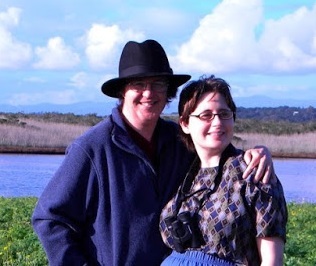 But I was fascinated by the behavior of the people our protagonist meets along the way. The good, the bad and the ugly do not really apply in this case. It was more the well-meaning, the determined, the foolhardy. Truly an insightful look at how people might behave and react to a world were 99% of the people have gone blind. How do you come to grips with the realization that so many people need help and you can only do so much?